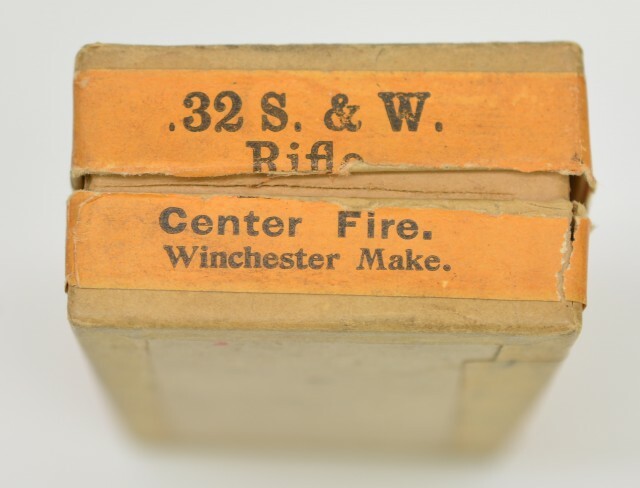 Description: This 2 piece half split box has a small tear into top label and a small label pull. Side seal band is 90% intact. This shrinkwrapped box contains 42 rounds. 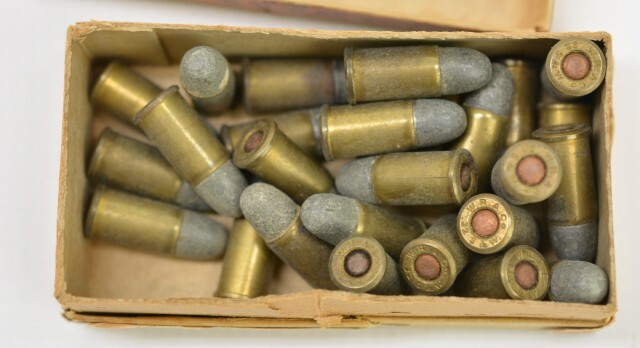 * This box shows "Rifle Cartridges" callout used to circumvent taxation of Pistol Ammo in some Southern States. This mislabeling was used at Winchester from the 1880s-1920s. Ref. 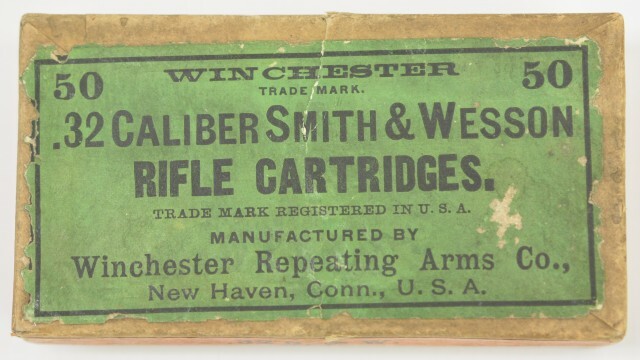 Winchester Cartridge Boxes, Giles & Shuey P. 21.